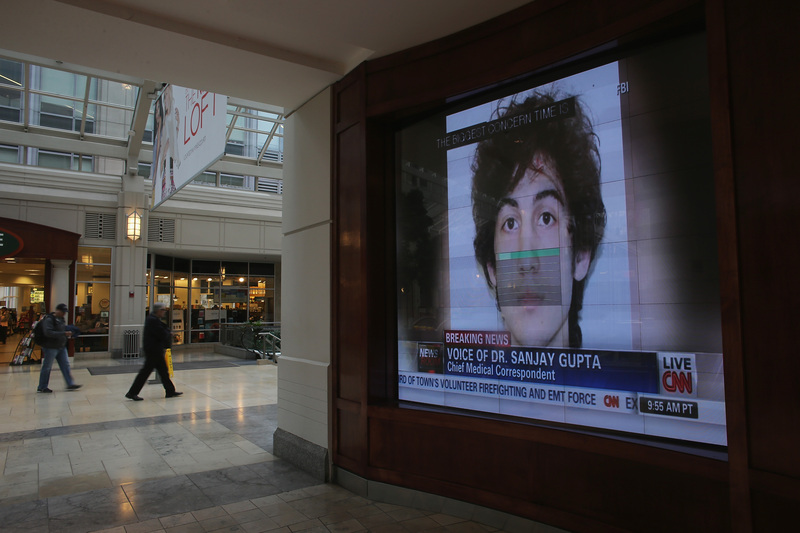 The so-called Boston Bomber, suspected to be responsible for the 2013 Boston Marathon bombings, Dzhokhar Tsarnaev, will appear in court on Thursday, giving the public a glimpse of him for the first time since July 2013. Tsarnaev, who allegedly staged the April 15, 2013, attack at the Boston Marathon with his late brother, Tamerlan, will attend his last pretrial hearing at a Boston federal court — his last chance to speak about the evidence against him before the case goes to trial in January, 2015. Tsarnaev, who was just 19 years old at the time of brutal bombings, faces a possible death penalty conviction. At Thursday's hearing, Tsarnaev's lawyer will most likely continue their bid to move the upcoming trial out of Boston, and Massachusetts altogether. His defense lawyers previously argued that Tsarnaev wouldn't receive a fair trial in the state, because of the extensive media coverage and impact of the attack on residents in the Boston area. Tsarnaev made his first and only public court appearance in July 2013, not long after the April 2013 bombings and the ensuing manhunt through Cambridge and Watertown, Massachusetts, that left him injured and his brother Tamerlan dead from gunshot wounds sustained during a stand-off with police. Dzhokhar Tsarnaev pleaded not guilty to the 30 charges against him, including conspiring to using weapons of mass destruction. The Tsarnaev brothers killed three people with their pressure-cooker bombs, and injured more than 250 others. The brothers also shot and killed an MIT security guard several days later, triggering the 24-hour manhunt that put Boston on lock down. Attorney General Eric Holder announced in January 2014 that the federal government is seeking the death penalty. The high-profile trial will most likely get off to a rough start, as the bomber's defense attorneys haven't been having much luck with their motions. According to The Associated Press, U.S. District Judge George O'Toole Jr. rejected the defense's plea in September to move the trial to Washington, D.C. The federal judge said the media has not prejudiced the jury pool, despite the strong sentiments felt in Boston. O'Toole also reportedly rejected a quest for prosecutors to hand over evidence incriminating Tsarnaev's brother in a 2011 triple homicide. Earlier this year, three of Dzhokhar Tsarnaev's college friends were found guilty of lying to federal agents, obstructing justice and conspiracy. However, authorities have determined that the three friends did not play a role in the bombings. All three men are still awaiting sentencing. Meanwhile, Tsarnaev's lawyers are expected to make the case that the then-19-year-old wasn't primarily responsible for the deadly attacks, as they try to pin most of the blame on his deceased older brother.